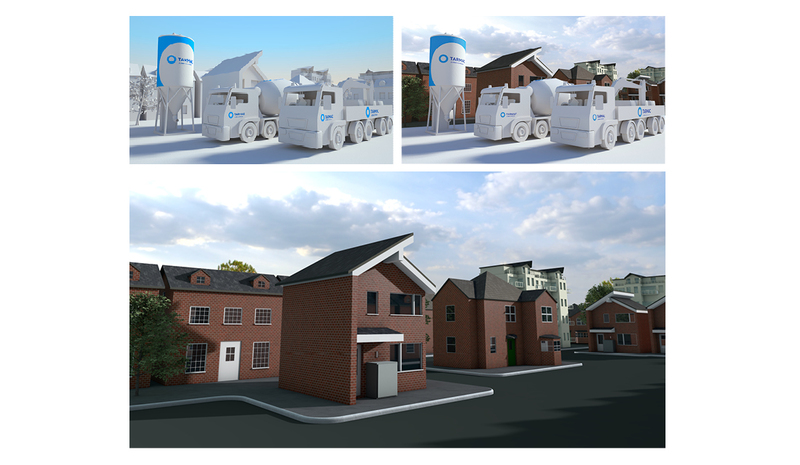 Market intelligence had told Tarmac that housebuilders and contractors valued consistency in their mortars, but often had to choose different methods of mortar delivery at different stages of a project. That meant, for example, if they were using a dry silo product for the majority of a build but needed to switch to smaller volume bags to finish off towards the end, they would often switch brands, only to discover their working qualities, colour and performance were very different. In fact, the consistency customers looked for was already available from Tarmac in their Ready Mixed, Dry Silo and Bulk Bagged mortar; the same product, packaged and delivered in three different ways. The problem was, very few were aware that was the case. That prompted Tarmac to rationalise its brand portfolio and bring Dry Silo, Ready Mixed and Bulk Bagged products together under a new brand: Truspread. Protect sales of Dry Silo, Ready Mixed and Bulk Bagged mortars by reassuring customers the products they’d used before were still available. 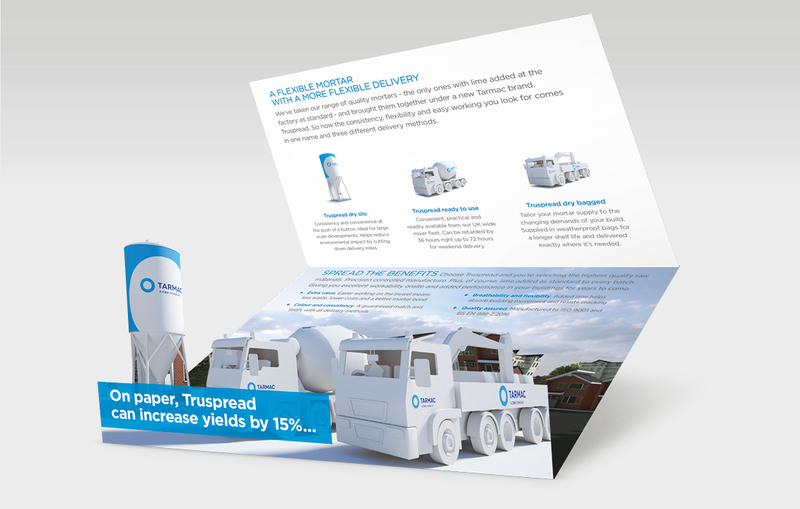 Increase cross sales between Truspread Ready Mixed, Bulked Bagged and Dry Silo through the message of consistent performance. Google network remarketing banners, served to customers who had already visited the Truspread website and pointing them towards an online video. A highly cost-effective, Pay Per Click medium. Email marketing, targeting existing customers and including a link to the online video. While email is cost-effective, advanced inbox filters and GDPR legislation have limited its reach. 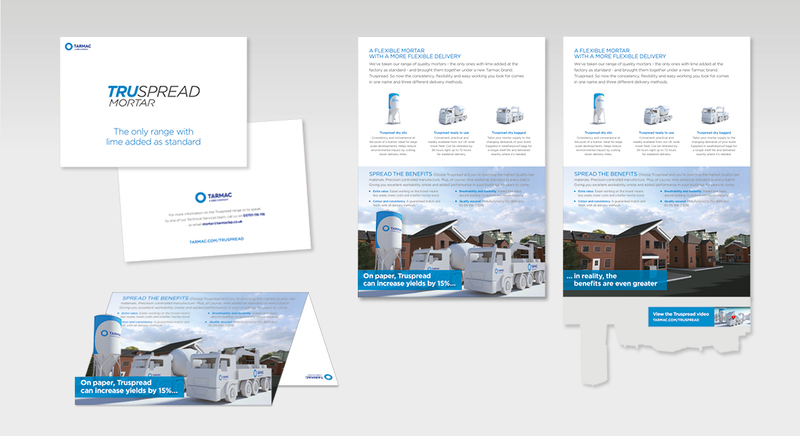 Print Direct Marketing, delivering the key messages in a visually engaging, cost-effective way using die cut printing and adopting the 3D illustration style established for corporate literature and online videos that was used in email and remarketing. When a more complex brand message has to communicated, it’s rare that one single channel can achieve the necessary cut through. 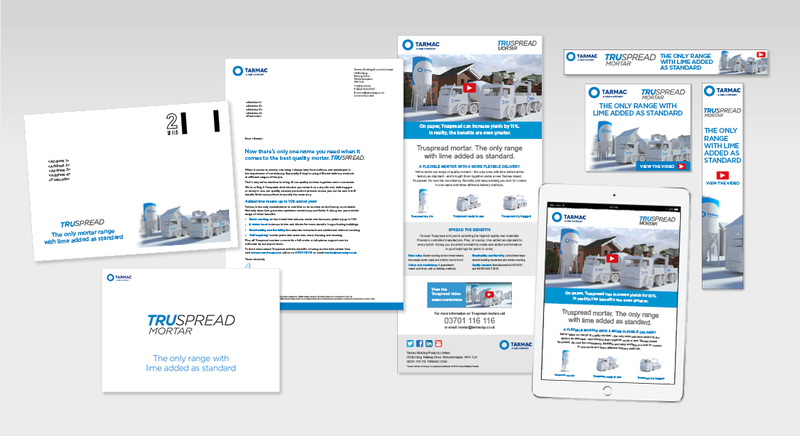 By ensuring ensure Tarmac’s customers encountered Truspread in different media, we increased the likelihood of it being remembered and acted on. Services: Design, copywriting, illustration, email campaign management, remarketing campaign management.